NJ Legal Services have won the Bark 2018/19 Certificate of Excellence Award! 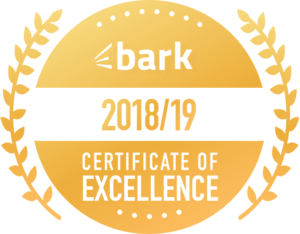 We are members of Bark and we are proud to announce that we have been awarded the Certificate of Excellence Award for 2018/19! Bark look for the best individuals across the network with the best reviews, response time and have a complete profile. Thank you to everyone who have reviewed our services on Bark, and we look forward to the new year with our website up and running. Thank you for reading our post, please feel free to contact us if you want to discuss anything.